Joan of Arc played a pivotal role in the Hundred Years’ War and the future of France. 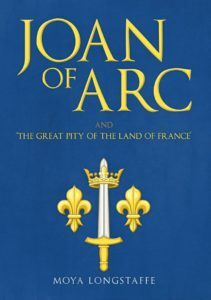 Moya Longstaffe returns to the original sources, employs her expertise in languages and brings Joan of Arc alive and does not duck the most difficult question: was she deluded, unbalanced, fraudulent ? or indeed a great visionary, to be compared to Catherine of Siena or Francis of Assisi? I wanted to write a very readable book which would give enjoyment to everybody, bringing Joan vividly to life, but trustworthy in its objectivity and use of sources. However I was embarked upon writing history, not a novel, so there have been years of research and preparation, on and off, before I could begin. When I started to write, I did of course make a plan of the book, chapter by chapter. Not every day, but sometimes I do so for months at a time, depending on circumstances. My husband and I move about quite a lot, principally to and from France and within Britain and Ireland, so I need to be where have my books and documents and my laptop at hand. 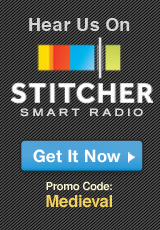 I began as a schoolgirl, writing a couple of short things for Children’s Hour on radio. After I went to university, I wrote a short travel talk also broadcast on radio, and during my career I wrote articles for academic journals and a couple of academic books on French literature. Mainly the French authors I wrote on, Stendhal and Camus among others. I admired the sharp wit and intelligence of Stendhal, also his underlying longing for something beyond the material, something more spiritual, for love. In Camus I admired his concern for the humble, the poor and for those who suffer and the questions he is implicitly asking about the human condition. My inspiration for the book on Joan was the work of the great 19th century historian who resurrected and edited the documents of her two trials, Jules Quicherat. It really began when I studied the German medieval poets as part of my degree course at university, for example Gottfried von Strassburg’s epic on Tristan and Isolde, or Walther von der Vogelweide’s love poetry.They brought the Middle Ages to life for me. I only came to French medieval poetry later. What spurred your interest in Joan of Arc? After finishing my degree at Queen’s University, Belfast, I embarked upon a doctoral thesis at the University of Montpellier, on the subject of Joan of Arc in modern French, German and English literature. I was inspired by people such as George Bernard Shaw and Jean Anouilh. However, I wasn’t very far into the research before I realised that there was an immense amount of third-rate stuff or worse written about her and that the history was far more interesting than even the best efforts of novelists or dramatists. I’m not at the stage of famous last words yet. Did Joan of Arc save France from being conquered by England? Who can say what may have happened without her? But her courage and inspiration certainly turned things right around at Orleans. What is the most fascinating thing you discovered about Joan of Arc during your research? How utterly young and human she was. Do you believe Joan heard the voices of angels or God guiding her actions? There are certainly incidents in her history which are difficult to explain. She was neither delusional, schizophrenic nor fraudulent, but a very practical young person, with a ready wit and humour at times and determinedly insistent on common sense. My own belief is immaterial, the business of a historian is to present the facts as objectively as possible and leave the reader to form his or her own opinion. Joan of Arc led the French army for about one year. How did she make such a significant impact in the short time? As I have remarked, by her own courage and a faith in her inspiration which she succeeded in transmitting to her troops. 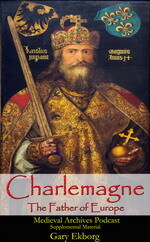 After Joan of Arc was captured why didn’t King Charles try to rescue her? Joan was on trial for 3 months, did she receive a fair trial? The trial was as much a show trial as were the Stalinist trials in the post-war Soviet-occupied eastern-block countries. 20 years after Joan of Arc was executed her family secured a re-trail for Joan. What was the significance of the re-trail? The re-trial was only possible after Rouen was taken by the French and the trial documents and proceedings could be made available for scrutiny. Joan was cleared by a court headed by considerably more eminent people than those at Rouen. She was cleared of all the charges against her, after careful and thorough research and hearings of over a hundred witnesses who had known her personally either in her childhood and early teenage, or during her career, or those who had been assessors or court officials at the trial in Rouen. All the latter were in advance guaranteed immunity from prosecution. The judge himself, Cauchon,did not appear, being now regrettably dead . 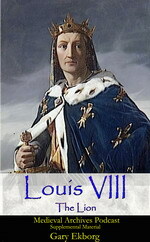 The first trial was political, and there was of course a political aspect to the second, since clearing Joan’s name also cleared Charles VII of the accusation of owing his success to a witch or a heretic, but that still does not preclude him from acting also out of sympathy or a sense of gratitude towards Joan. What is one of the most important facts we should know about Joan of Arc? That courage and faith can move mountains. Moya Longstaffe is a retired Senior Lecturer in French at the University of Ulster, having previously taught at the universities of Bristol. Edinburgh, Heriot-Watt (Edinburgh), Caen and Belfast. She is the author of Metamorphoses of Passion and the Heroic in French Literature: Corneille, Stendhal, Claudel (Edwin Mellen Press) and The Fiction of Albert Camus: A Complex Simplicity (Peter Lang). 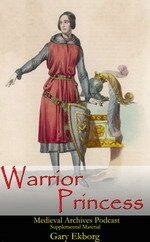 She has researched the life and trial of Joan of Arc from primary sources over several years.